The ORA is perfect for those wanting the ethnic look of a wide belt with a bit more sophistication. It's a WOW punctuation even as it is understated. 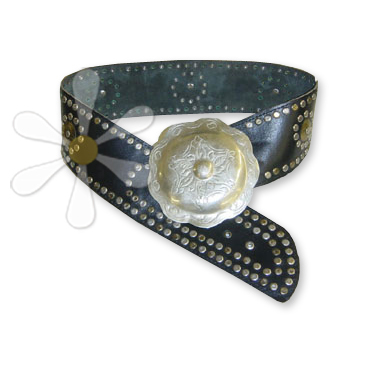 The discs and studs alternate nickel and brass, and the gorgeous scalloped buckle anchors the fit, whether you wear it low on the hip or as a cinch at your natural waistline. No Dairi, Laise Adzer, or Tienda Ho aficionado should be without one!